§2.1 The display of our products in our online shop serves the purpose of making a purchasing offer. By clicking the [order] button, you will submit a binding purchasing offer. We will sell our products exclusively for private use and only in normal household retail volumes. §2.2 We will accept your order either by sending you an order acknowledgment e-mail or by delivering the merchandise to you within five working days. A confirmation e-mail stating that we have received your order is not necessarily an acceptance of your purchasing offer. rescission of the contract while being obliged to give you evidence of our error. Payments that have already been made will be refunded to you without delay. §2.4 We deliver products only “while stocks last”. In the event that we have not been provided with a certain product or certain products by our suppliers without fault on our side, the ordered product/s will no longer be available and we shall be entitled to withdraw from the contract. In such an event we will inform you without delay and, if necessary, recommend delivery of a similar product. If there are no similar products available or if you do not wish to receive a similar product, we will, if applicable, reimburse you for any payments made. §2.5 In the case of a credit card payment, your account will be debited upon order completion. §2.6 There is a purchase limit of 2 units per customer on "strictly limited" products. All prices are final prices. They include value added tax (19%) as well as all other price components. However, they do not include the delivery charges applicable to individual products (see next section on “delivery charges”). Please see our product and information pages for more details. The items offered in our product range will be delivered via UPS. Should a purchase be high in volume or quantity, we will engage a forwarding agency. After receiving your completed order, we will process it without delay. As a general rule, the goods will be dispatched once the order is completed and payment is received. For exact information about the delivery of a product, please refer to our help pages, as well as the product page itself. The standard shipping cost to European countries* is 7.90€. Standard shipping is free on orders worth over 150€. On orders eligible for free delivery, posterior delivery charges will arise if the total value of the order sinks below the free delivery threshold as a consequence of a return. §5.1 Delivery will be made to destinations within Europe exclusively. §5.2 In the event that not all ordered products are in stock, we shall be entitled to make partial deliveries at our own expense, inasmuch as this modification can be reasonably imposed on the customer. §5.3 We shall be entitled to withdraw from the contract should the delivery of the goods to the customer fail after three attempts. If applicable, payments already made by the customer shall be refunded without delay. §5.4 Personalised articles such as skis with bindings and tennis rackets with personalised stringing require a full working day for processing. This means that the estimated delivery time will be one working day longer than usual. Personalised articles should be delivered to European countries within 5-6 working days (please see above table for a list of “European countries”). §6.1 You can choose from one of the following payment options: bank transfer, credit card or PayPal. We reserve the right to exclude certain payment options. §6.2 If you would like to pay via bank transfer, we will provide you with our bank details in our order acknowledgement e-mail. The invoiced amount must be transferred to our account within 10 days. If you choose to pay by credit card, your account will be debited once the goods are dispatched. Please be aware that some orders paid for via credit card may be chosen at random to perform a security check over the phone. This is done in order to protect the customer from possible fraud. purchasing price at a rate of 5% above the base rate. This is applicable throughout the period of delay. We reserve the right to claim for a higher cost of damage should the latter be incurred by the delay in payment. §6.4 Your right to compensation is only applicable if your claims are acknowledged by us in writing, are undisputed or are judicially established as legally valid. §6.5 Your right to withhold payment is only applicable if your claims are regarding the purchasing contract in question. §6.6 Keller Sports vouchers, gift cards and online Keller Sports vouchers can be paid for by bank transfer, credit card or PayPal. Vouchers bought in the Keller Sports shop are valid for the entire product range. Vouchers are not subject to interest. The voucher will be sent to e-mail address once payment is received, and it cannot be delivered by post. When the voucher is redeemed, its value will be automatically deducted from the total order value. Only one voucher may be redeemed per order. Gift cards or gift vouchers cannot be redeemed for cash or used to cover any outstanding payments. If the cost of the order exceeds the value of the gift card, the difference must be paid with an alternative form of payment. Keller Sports assumes no responsibility for any errors in the gift card recipient’s e-mail address. Keller Sports is also not liable for loss, theft, misuse or delayed receipt (caused by technical or other difficulties) of the voucher. Vouchers cannot be applied to processed orders. Ownership of the purchased goods shall only be transferred when the purchase price has been paid in full. Prior to the transfer of ownership, the pawning, pledging, processing or redesigning of goods is not allowed without our consent. To exercise the right of withdrawal, you must inform us (Keller Sports GmbH, Balanstr. 73/ House 24, 81541 Munich, phone: +44 (0) 1450 825044, fax: 089-416129299, e-mail: customerserivce @keller-sports.com) by means of an unambiguous statement (e.g. a letter sent by post, fax or e-mail) of your decision to withdraw from this contract. You may use the model withdrawal form below, though this is not obligatory. Please return the goods no later than 30 days after receiving your order. We will not cover the costs of the return, unless the goods have a proven manufacturer fault with regards to build, properties or functional operation, which was not caused by you. If, after inspection, the returned goods are found to be in a used condition, you may have to cover costs incurred by the loss of product value. §9.1 If goods are delivered with obvious transport damage, please submit a complaint to the parcel courier and contact us at your earliest possible convenience via telephone at: +44 (0) 1450 825044. §9.2 Failure to submit a complaint or to let us know about the damage does not affect your statutory warranty rights; however, by submitting the complaint you assist us in making our own claims against the forwarding agent or the transportation insurance company. §10.1 Warranty will be provided in accordance with statutory regulations. Where defects are detected within the legally required warranty period of two years, starting from the date of delivery, you are legally entitled to rectification (defect repair or substitute delivery). In accordance with legal requirements, you shall also have the legal right to revoke the agreement or to receive a reduced price, as well as compensation for damage and reimbursement of expenses, if applicable. We are entitled to two attempts to rectify the defect, as long as you have not set us a reasonable deadline that has passed without satisfactory results. If your desired mode of rectification can only be carried out at disproportionately high costs, your entitlement shall be restricted to the other mode of rectification. §10.2 We will not provide warranty for any damage and deficiencies resulting from improper use, operation or storage, negligent or faulty service and maintenance, overstraining, or improper repair performed to the product by repair-service providers who are not expressly authorised to do so. Our liability for a slightly negligent breach of duty is expressly excluded, unless this concerns an essential condition of the contract, damage caused by the impairment of life, body or health or the infringement of guarantees or claims under the Product Liability Act are affected. The same applies to breaches of duty on the part of our subcontractors. §12.1 We will use any data you have communicated to us to process your order. For this purpose we shall share your data with other businesses, such as courier services, in order to deliver the merchandise to you. These businesses shall only be permitted to use your data to process your order and for no other purposes. If you have expressly consented to further use of your data, we shall pass on data from our customer address list to selected affiliated businesses for advertising and market research purposes. With this consent, we shall also recommend merchandise that might be of personal interest to you or shall make you promotional offers for customer care purposes and/or use your e-mail address for marketing purposes. You can at any time withhold or withdraw consent for your data to be used for advertising purposes. From then on, we will no longer send you any catalogues or promotional e-mails. §12.2 We save the contract text and send you the order information and our general terms and conditions by e-mail. You can view your past orders in our customer log-in area. §12.3 In cases where the price is not paid in full upfront, we reserve the right to query SCHUFA Holding AG, Kormoranweg 5, D-65201 Wiesbaden, Germany for credit assessment purposes, if applicable, in order to protect our legitimate interests. Your interests worthy of protection will be taken into consideration in compliance with legal regulations. - When a customer is on the product description page, s/he can click on “add to basket”, to enter into the next step of the process. A little window opens up on the right hand side of the screen and confirms the product’s features (size, price, quantity). - The customer can browse around and find other products to add to the basket or click on “Go to check out” to go to the second phase of the transaction process. A new page opens to recapitulate the full details of the shopping basket. After the customer has proof read this page he can click on “Go to check out”. The next page that appears depends on whether the customer is connected into his/her user account already or not. If the customer is not logged in s/he is asked to log in (clicking on: “Login via secure server”) or create an account (clicking on: “continue via secure server”). - Depending on the customer’s status, s/he is asked to add his delivery address and choose his/her payment mode or if s/he has already ordered before, the address information will appear automatically. The payment method is either saved or the customer is asked to choose the payment method. Depending on the payment method, the customer will be asked to give more information. By clicking on “next” s/he is directed to the next page of the transaction process. - This next page is an overview of the customer’s previous choices: the products in the basket, the address and the payment method. If the customer is satisfied with the information provided, s/he can click on “Submit”. - The customer is redirected to the confirmation page that confirms that the transaction was successful and that the order will be processed. The contract text will be kept by the us and sent to the customer in a text format (e.g. letter, fax or e-mail) alongside the terms and conditions once the order has been confirmed. The contract text will be archived by us and will be provided to the customer by the customer service team upon request. Before submitting an order, the customer has the possibility to correct any given information by using the standard keyboard and mouse. It is possible to go back to previous pages and modify the information before confirming the order. The contract is in English. The seller has not submitted any codes of conduct. The Keller Sports Premium membership is an indefinite subscription agreement. Customers can terminate the Keller Sports Premium membership via “My Account” at any time before membership expiry. If cancelled, the membership will not be automatically renewed and there will be no further membership fees to pay. If no cancellation takes place or you do not cancel at least 14 days before the end of the membership, the membership will be automatically renewed for another 12 months and a membership fee will be due. The Keller Sports Premium membership incurs a one-off fee of 9.99€ and lasts for 12 months. Within this period of service you receive a 10% discount on the total value of the shopping basket every time a purchase is made (excluding shipping costs or other service fees, such as stringing service). The discount does not apply to the membership fee. The Premium membership discount is not applicable to the tiered prices of tennis balls or to articles that are marked as “Limited”, “Strictly limited” or “Exclusive”. It also cannot be combined with any other sales or discounts that are available to specific customer groups (such as new customers) for a limited time. Keller Sports will make you aware of any sales in which the 10% premium discount does not apply. The value of the discount cannot be refunded as cash or otherwise, but will be discounted from the total purchase value. You will receive regular exclusive Premium offers and information by e-mail. From time to time we will offer certain customers (e.g. business partners) promotional memberships such as free trial periods that are subject to the existing terms and conditions, unless otherwise stated in the offer. Trial and promotional members can cancel their trial period at any time throughout its duration by accessing “My Account” or using any other form of contact to inform the company of the wish to terminate the membership. The aforementioned trial and promotional periods are subject to a waiver or reduction in membership fees (e.g. a 5€ fee for the first 12 months for promotional memberships offered to business partners). After the expiration of the trial period or reduced membership, a chargeable membership begins; this costs 9.99€ and is valid for 12 months. Trial and promotional memberships will only be offered to customers who have not yet had a Premium membership. We have the right to change the current conditions and range of services of the Premium membership at our discretion. You will be informed of any significant changes to these terms and conditions. All other terms and conditions of Keller Sports GmbH still apply. If we change the conditions or range of services, you will be made aware of this. You then have the right to disagree with the changes to the conditions. If you would like to show your disagreement, you may do so within 14 days by contacting us via e-mail ([email protected]). Every time we inform you of changes we will also remind you of your right to disagree with them. If you do not express disagreement with the changes, you are assumed to be in agreement with them and the consequent change(s) to the conditions. A rise in the membership fee may apply at the beginning of the following year. If you terminate your membership before these changes come into effect, we will refund the remaining unused membership fee for the current membership. If any changes are declared invalid, void or unenforceable for any reason, the validity and enforceability of the remaining changes and conditions is not affected. We have the right to terminate your membership at our discretion with a period of notice of 14 days. In this case we will refund your membership fee in full for the current membership year unless you have already benefitted from Keller Sports Premium membership discounts that are higher than the current 12 month membership contribution. A refund cannot be given if the termination is made for an important reason. A termination made for an important reason comes immediately into effect if you are guilty of offending current conditions or any applicable laws; if your use of Keller Sports Premium has been fraudulent or abusive; or if our interests, or those of another user, have been negatively affected. Although on a single occasion we may choose not to enforce strict compliance with the current conditions, this does justify non-compliance with conditions in the future. The membership comes into effect with the payment of the current 12 month membership fee. After the first 12 months, Keller Sports automatically collects the due membership fee using your given payment method. 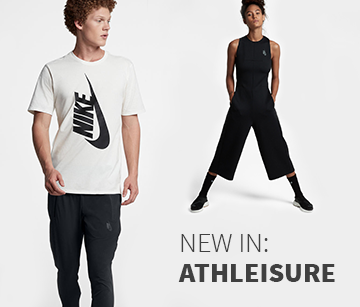 If this payment method becomes invalid during the duration of your membership or the payment collection is otherwise declined, Keller Sports has the right to claim the payment from you via other means (any additional costs incurred by the non-use of direct debit will be billed to you). We take responsibility for any damage that occurs as a consequence of gross negligence or intentional violation of our obligations including that caused by agents, executives or legal representatives. Regardless of the level of negligence, we also take responsibility for any damage caused by the violation of major contractual obligations (“cardinal duties”) and by fraudulent deceit or violation of any given guarantees. Claims for damages that result from slightly negligent infringement of major contractual obligations (“cardinal duties”) are limited to typical and foreseeable damage. Apart from that there is no liability for any other legal reason. We strive to provide access to our services at all times. Incidents of force majeure, lawful lock-out or unforeseeable operational disruptions do not free us of our incumbent “Keller Sports Premium” liabilities. In these instances the execution of tasks or order dispatch may be delayed. If such a delay should mean that Keller Sports Premium services are no longer of interest to you, you can terminate your Keller Sports Premium membership with immediate effect and we will refund the full fee for the current membership unless you have already benefitted from Keller Sports Premium membership discounts that are higher than the current membership contribution. We do not take responsibility, however, for damages resulting from such cases of delayed delivery. You may make an order as often as you wish. It is the responsibility of the customer to use the Keller Sports Premium offer in accordance with the general terms and conditions. 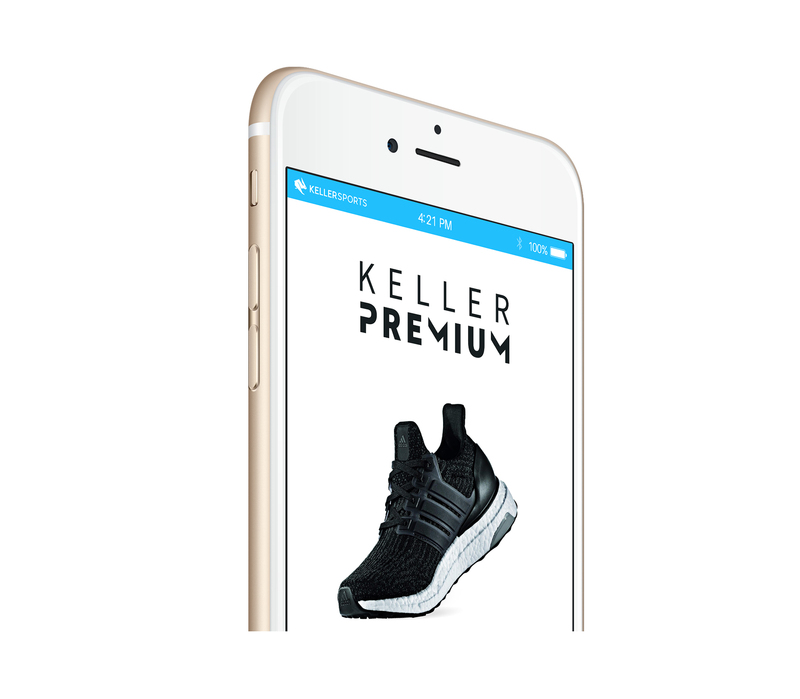 “Keller Sports Premium” is only available to private customers and cannot be used by customers who buy goods for business purposes, for resale or for wholesale purposes. A violation of the contract on your part results in the termination of your membership without any kind of refund. This website uses a DRTO tracking tool, a piece of software for statistical analysis of visitor access. The DRTO tracking tool uses so-called “cookies”, text files that are stored on your computer and enable an analysis of your use of the website. Information collected by cookies about your use of this internet service is saved on the provider’s server, in Germany. Your IP address is anonymised immediately after being processed and saved. You can prevent the installation of cookies via the relevant settings in your browser, but please be aware that in such cases you may not be able to enjoy the full range of functions offered by this website. §23.1 Should a particular clause of these general terms and conditions be ineffective, all other terms and conditions of the contract will remain unchanged. Applicable statutory regulations shall be effective instead of the ineffective clause. §23.2 German law is applicable.